The promise of a new beginning makes the New Year an ideal time to move on to the next chapter of your love story. When you do find the right moment to pop the question, you’ll need the perfect ring to declare the start of the rest of your lives together. 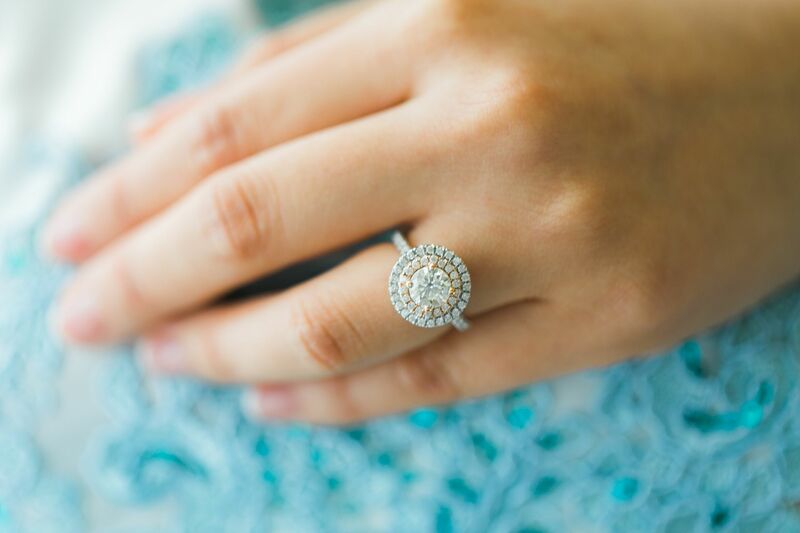 Shopping for the piece that signifies your love may be a daunting task, but a stop at Denovo Diamonds will take the stress out of the whole process. How? For one, Denovo gives you the utmost freedom to be creative with your ring. You have complete control over the four C’s—cut, carat, colour, and clarity—via the bespoke service readily accessible on the brand's website. With every click, you will be able to see the corresponding price tag, so you’re not left in the dark on the budget. You can submit your combinations online and that easily counts as the order. Meanwhile, if you wish to see and feel the pieces as you make your decision, the jewellery consultants at the Denovo boutiques in Century City and S Maison are ready to assist you with any query regarding the bespoke service. If you desire something truly one-of-a-kind, you can also consult with an in-house diamond expert to work on the design through the exclusive service. The same goes with any other kind of jewellery, not just engagement rings and wedding bands. Set up an appointment at any of the boutiques to get started on the consultation, talk about different inspirations and important elements, and you can expect the piece to be delivered in four weeks’ time. But if playing with the specifics of diamonds proves to be a chore, you can readily choose from the collections in-store. There are at least 35 varieties of diamond rings just waiting for a finger to adorn. Regardless of how you acquired the ring—bespoke, exclusively designed, or ready-made—each diamond comes with a certificate issued by the Gemological Institute of America, the world’s most trusted diamond grading laboratory. And because this is a no-nonsense investment on your part, Denovo promises to stand by you with a lifetime warranty that addresses any changes that may occur over the years. The warranty covers for resizing, tightening, cleaning, and polishing, so you can rest easy as you start a new chapter of your lives. Denovo Diamonds is present in S Maison and Century City Mall and is now available at Rustan’s Silver Vault in Glorietta. The new boutique will house the Timeless collection created by the Denovo’s own team of artists, but the brand also works with designers and personalities including Olivia d’Aboville, Leeroy New, and Cheryl Tiu for special collaborative collections.